Most people are only dimly aware of this but the Portuguese colonized India long before the British, and hung on till long after. Because of their influence, a particular yeasted bread called pav spread all around Bombay and became very much part of the culture of the city. (A word on that shortly.) Now pão in Portuguese simply means ‘bread’. In India, we have a pretty fraught relationship with yeast breads, as in, we didn’t get around to rising breads much. 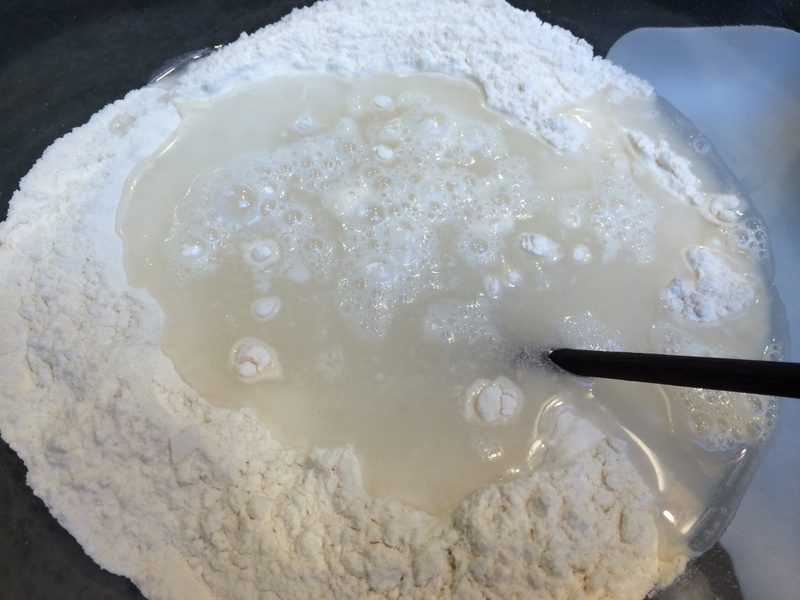 Most of the use of wheat flour is for flat breads. It’s not that risen breads are not popular in India — they are, very much so. But they come from the European influence, and have always remained a bit foreign. By that I mean that hardly anyone makes risen breads at home. When I was a kid, if one wanted pav, one had to resort to bakeries. 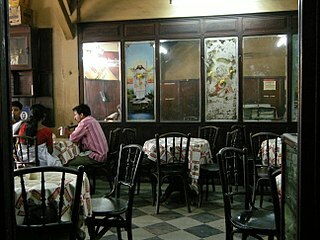 In the old days, most of the bakeries in Bombay were run by the Iranis, as part of tea-houses called Irani restaurants. They were pretty unique establishments, run by Zoroastrians who escaped Iran around the 1920’s. For me, it is impossible to think back to any neighborhood in South Bombay without thinking of the corner Irani restaurant that served it. The Iranis were foreigners and the rigid customs of Hinduism meant nothing to them. The food they served was mostly Irani cuisine but also had a touch of Europe. Their clientele looked like the city itself. There were Christians and Parsees, taxi drivers and street workers, middle-class office workers and retirees. For a few rupees you could hang out for hours under the high ceilings, the drone of the fan overhead, read the morning newspaper that was still warm from the press, sit on the wooden colonial-style netted chairs at glass-topped tables in peace while you ate your breakfast. They were not fancy. Customer service was a bit…brusque. This post has an entertaining story about that. Tea inevitably got poured into the saucer to be drunk. Breakfast was variations on pav. Maska pav is bread and butter. Brun maska pav is hard brown bread with butter. Akuri pav is pav bread with scrambled eggs. And so on. If you want to further explore the old world of Irani restaurants, here are some websites with pictures and wonderful stories. The Heritage Institute page on it, and one from a website called Irani Chai. The Irani restaurants are sadly on their way out. Many have turned into beer bars, one into a McDonalds. If they are around, they have survived by expanding their menus to include dosas and Chinese. But pav bread remains as popular in the city as ever. It fuels much of the manual labor that goes on in the city from the early hours to way past midnight. I guess this is the appropriate time in this post for me to start referring to the city as Mumbai. People say that no one starves in Mumbai. To eat a decent, wholesome meal, you don’t need to own a kitchen or a stove or even own a pair of shoes. Every street corner has some food stall or the other. Many serve meals centered on pav. Plates and cutlery are completely unnecessary. Food is simply handed to you or may be wrapped in a newspaper. One is vada pav, which is mashed potato deep-fried in a besan batter, served inside a pav, with garlic chutney. Another is pav bhaji, which is a mashed mixture served with pav with tons of butter. For 50 rupees you can fill your belly with an excellent, pure vegetarian, wonderfully-spiced meal. People, please realize how wonderful this is. The Odd Pantry will showcase all of those recipes eventually. But one has to start with pav. The particular version of Portuguese pão that we in India latched onto looks like a grid of bread buns stuck together at the edges into a slab (‘laadi’). To me the word ‘laadi’ sounds a bit mechanical or construction-related, so it is quite endearing when it is used for bread. Looks a lot like a dinner roll that is available all over America. But look, this is different. 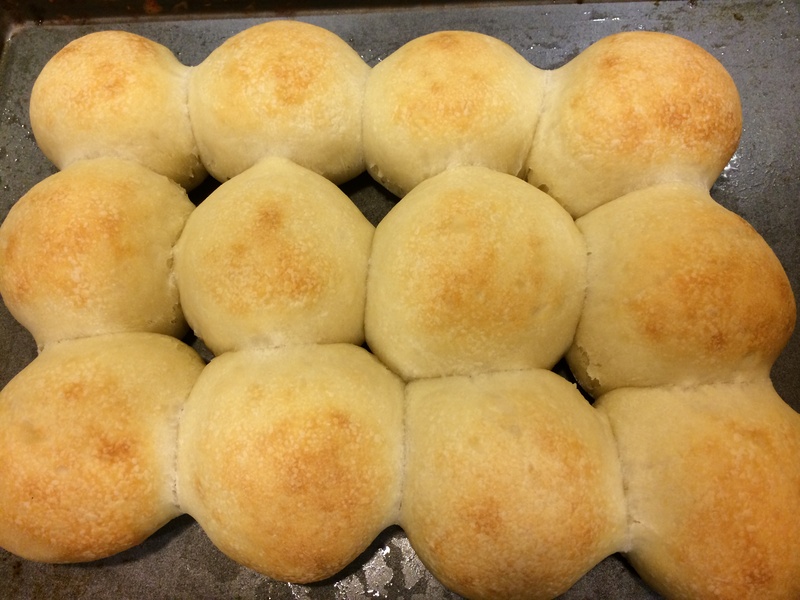 I’ve tried to recreate my favorite street food snacks at home using a standard dinner roll, but the results are terribly disappointing. This is because store-bought dinner rolls have more than a hint of sweetness and that simply does not go with the savory flavors of street food. It totally ruins it, in fact. They often don’t use real butter and one absolutely needs real butter. This recipe of pav has no sugar whatsoever. None. You don’t need any. And real butter. Just try it. 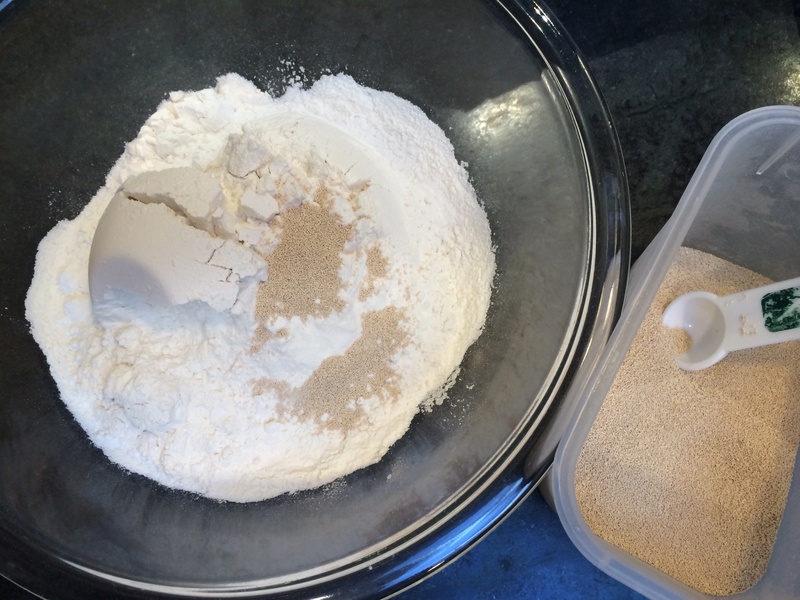 1 teaspoon instant yeast. This is also available in most stores as bread machine yeast. Have the flour in a large bowl. Sprinkle in the yeast and stir it in. Then sprinkle in the salt and stir that in. 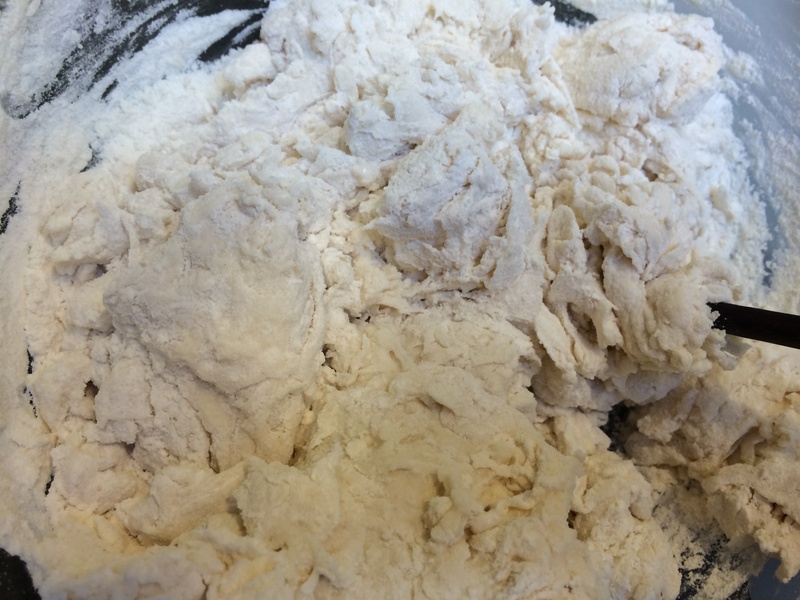 Add 1.25 cups room temperature water and gently stir to moisten all the flour and make a shaggy mass. Cover and go do something else for 15-20 minutes. Melt the butter — I use the microwave for this. But make sure it is not sizzling, it needs to be just melted. 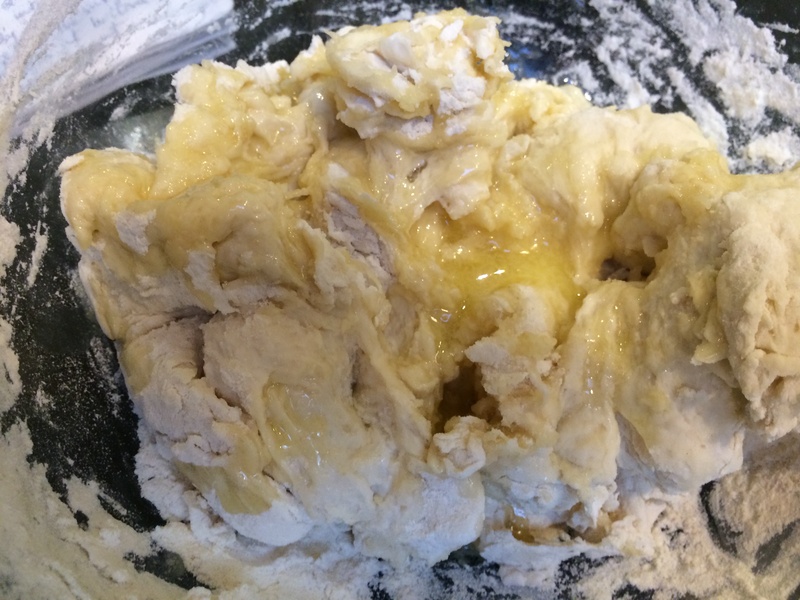 Pour the butter over the flour mixture. 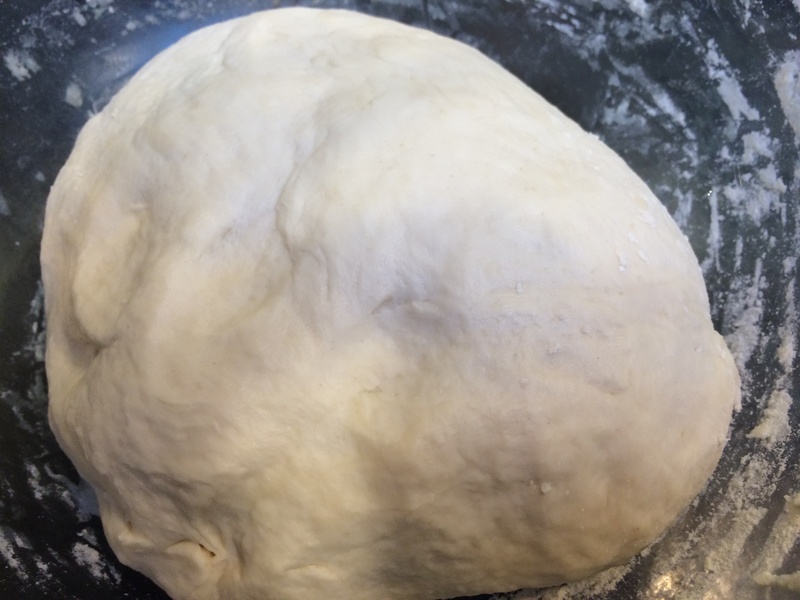 Now give it a good kneading, for about 5-7 minutes. The dough will be smooth and shiny. Cover with plastic wrap and leave it aside at room temperature to rise for 1.5-2 hours. My room temperature is around 70°F. In India, room temperature will be a lot higher, so I would leave it under a fan or airy window. In 1.5-2 hours, it will have doubled. 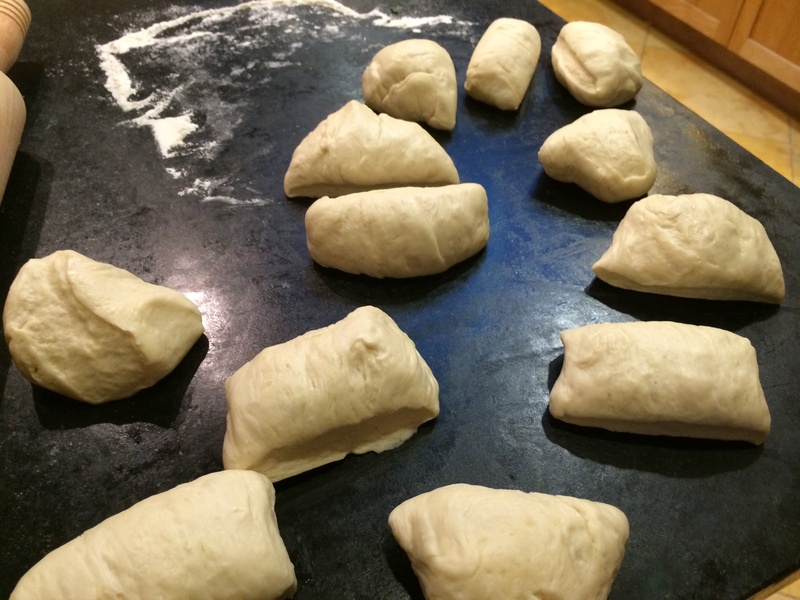 Gently take the dough out, and using a pastry cutter, divide it into 12 rolls. The way I do this is to first divide in half, then each of those into halves to make 4 quarters, and each of those into 3 to make 12. 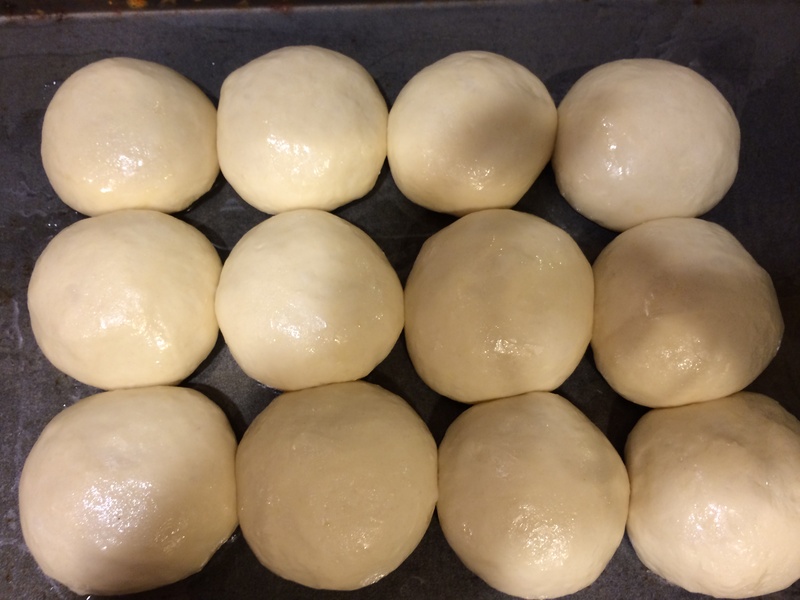 Each roll must be shaped like this: take the dough in hand and start by rolling it into a pouch, press down the center point with your thumbs and keep rolling more and more of the bun into the pouch. You are sort of trying to make a stretched balloon with the outer surface. Pinch the seam of the pouch shut. Cover with oil and lay seam-side down on a cookie sheet. Each roll is to be place half inch away from its neighbors in a grid. Let it rise for another hour. The rolls will have risen into each other and gotten connected. Bake in a 425°F oven for 15 minutes. If you like, brush with butter right away when they come out. Those rolls look so soft and delicious! 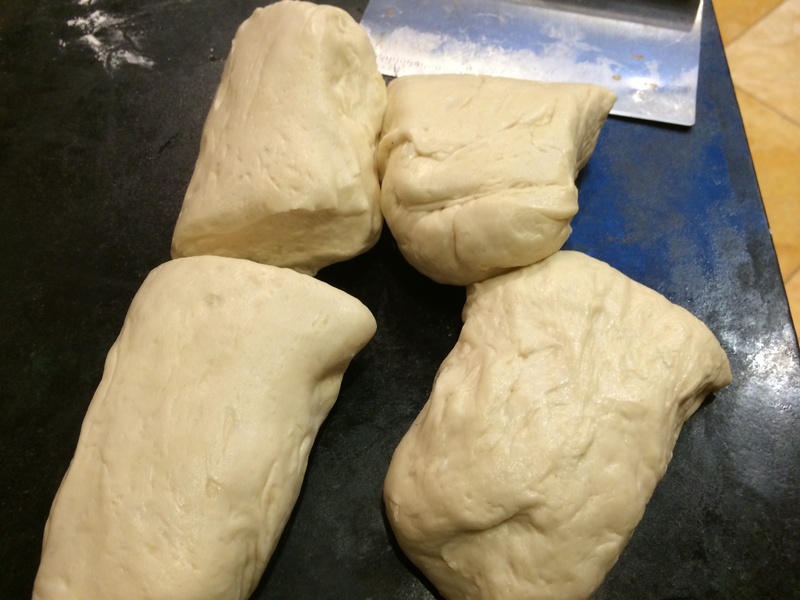 Your photos have me craving fluffy, homemade bread like crazy now. They were great with some butter! I could make a whole meal of that. Nice to hear…I grew up in Mumbai but only guessing about the Goa link. Now it is time for you to try making it Rashmi! Looks really yummy, and seems easy to make…will try it soon. I recently visited india and loved the burun pao, the one with hard outside and pillowy soft inside. 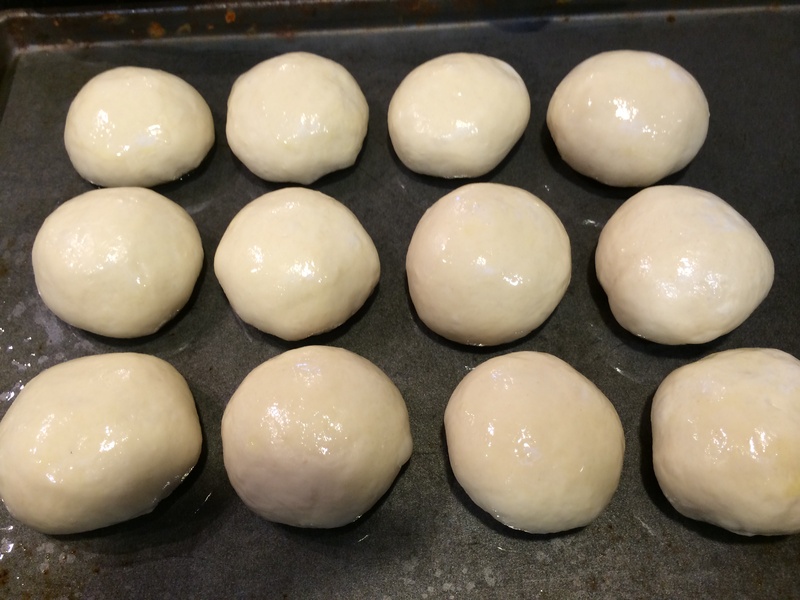 Could you please share recipe for the hard buns.